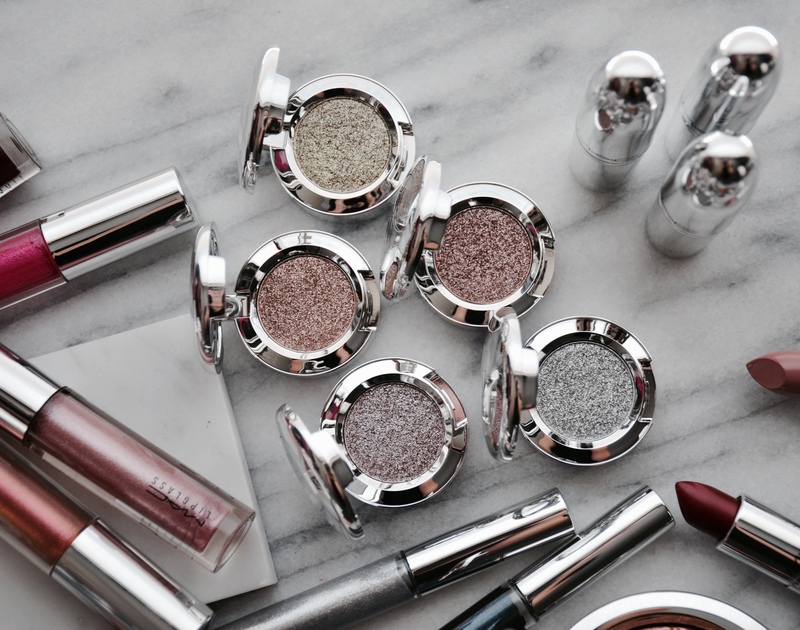 Mac Shiny Pretty Things is the newest Holiday Collection from the brand. 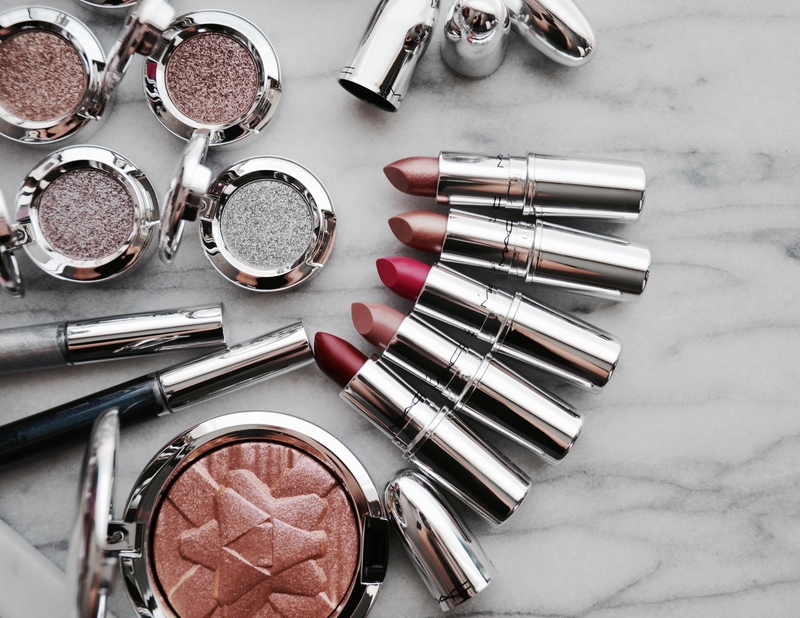 As like every year, Mac goes all out when it comes to their holiday collection. 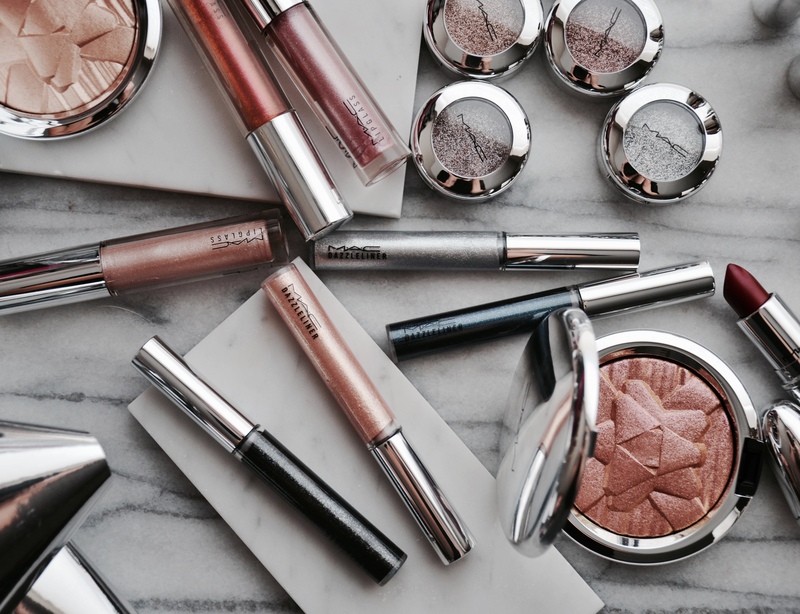 From the beautiful silver packaging, to the product choices and beautiful gift sets, Mac made sure there is a product for every makeup lover. The theme of this year’s collection is shiny pretty things so there are plenty of sparkly products to pick from. Since we’re talking about sparkle, I’m going to star with the Mac Extra Dimension Skinfinishes. There are two shades in the collection in Oh Darling (a re-promote) and Snowflushed. Oh Darling is your classic metallic mid tone gold shade. It has great pigmentation and gives a beautiful sheen on the skin without any bigger chunks of sparkle. It is buildable so you can go from subtle to beaming in two layers. Snowflushed is described as a metallic bronze pink. 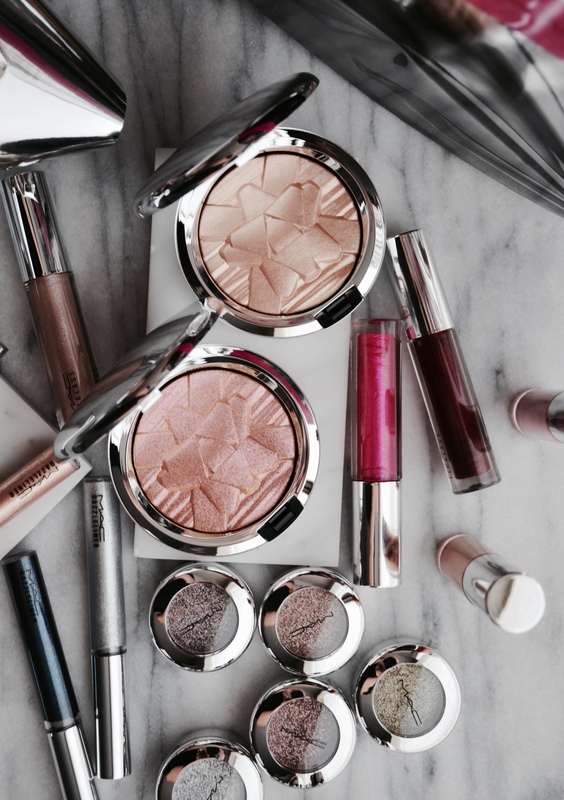 It is a pinky rose gold duo-chrome highlighter that changes color as the light shifts. The formula on this shade feels not as silky as the other one but it still looks beautiful on the skin. I also find the shade more intense than Oh Darling since you can get your intense glow with only one layer. Since the shade is darker, it is meant for people with medium skin tone and deeper. There are five Lipglass shades in the Shiny Pretty Things Holiday Collection in: Scarcely Seen (light beige pink), Ice Orchid (midtone cool pink), Caketop (pinky peach with icy shimmer), Tudor Rose (barbie pink with sparkle) and Rosebuddy (deepened berry). It was my first time trying the Dazzleliners. They are a liquid eyeliner that has a brush tip and gives plenty of sparkle to the eyes. You can use these are eyeliners but also on top of eyeshadows if you want to add more sparkle to your look. 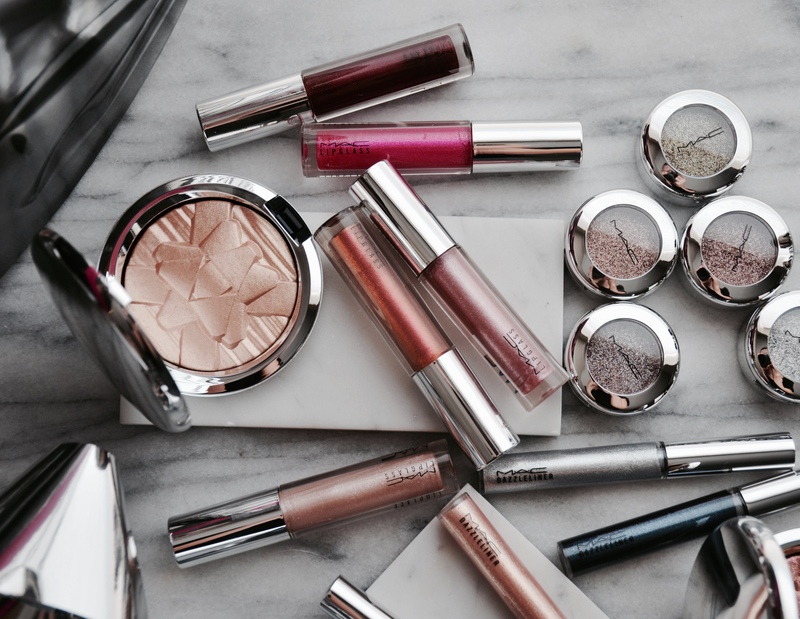 The formula is sparkly and stays put through the day. I did have to go over the liner twice to get a more intense look so the formula is not full on pigmented with one swipe. I received four shades from the Dazzleliners in Holiday Time! (gold with pink shimmer), Statesque (true silver shimmer), A Little Moonlight (black with silver and gold pearl) and Midnight Toast (dark navy with silver sparkle). 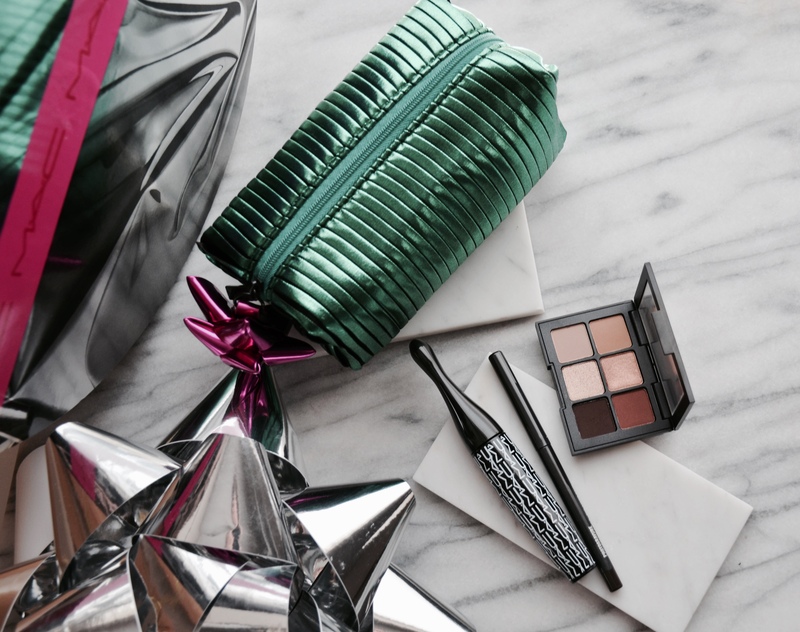 The Shiny Pretty Eyeshadows are single shadows that give the most beautiful holiday sparkle. They are pressed glitter but feel creamy to the touch. I used both my fingers and a brush for application and I didn’t get any fallout. By using them wet, you get an even more intense sparkle that almost looks like liquid metal. 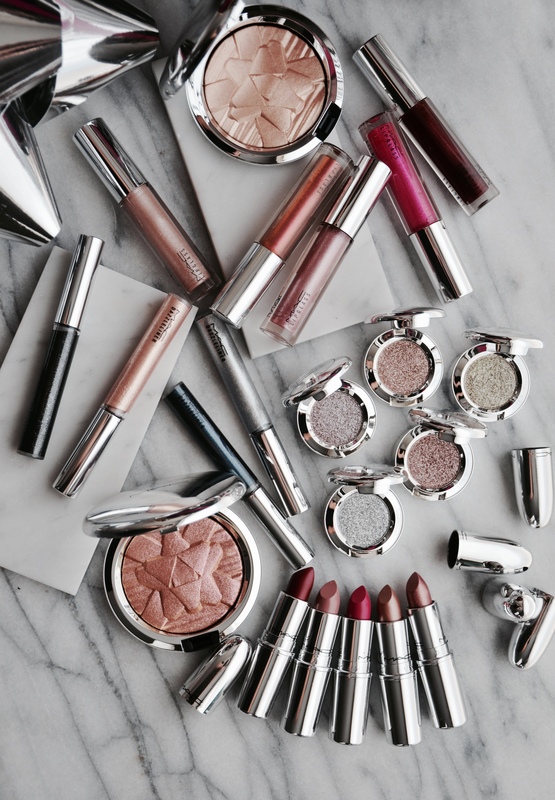 There are also five lipsticks in the line that come both in neutral and festive shades. 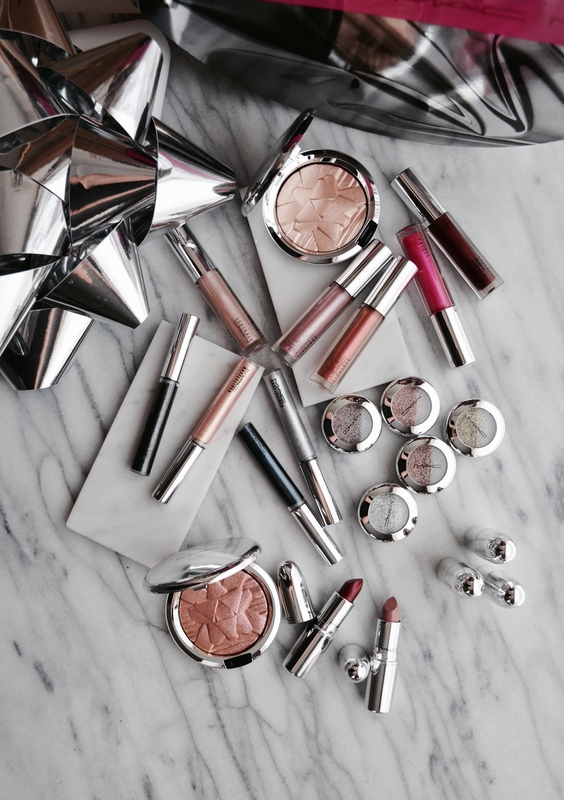 With the Shiny Pretty Things Collection, Mac also released a lot of gift sets. I’m a big fan of the gift sets because they are a great value but also come with the most beautiful makeup bags. Face Brush Kit (four metallic mini brushes for the face + a makeup bag) $142 value and $49.50 price. The mini brushes feel very soft and the same quality as their regular sized brushes. Bottom line, another great holiday collection from Mac. If you love your sparkle, you will definitely find some pieces in this collection to pick up. 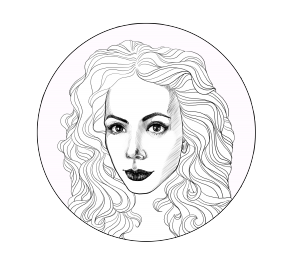 As for favorite products, I would go with the Oh Darligh highlighter, Lipglass in Tudor Rose, Shiny Pretty Eyeshadow in Make A Wish and P For Pink and lipsticks in Babetown and Straight Fire. I also think the gift sets are beautiful as a present option for the holidays. 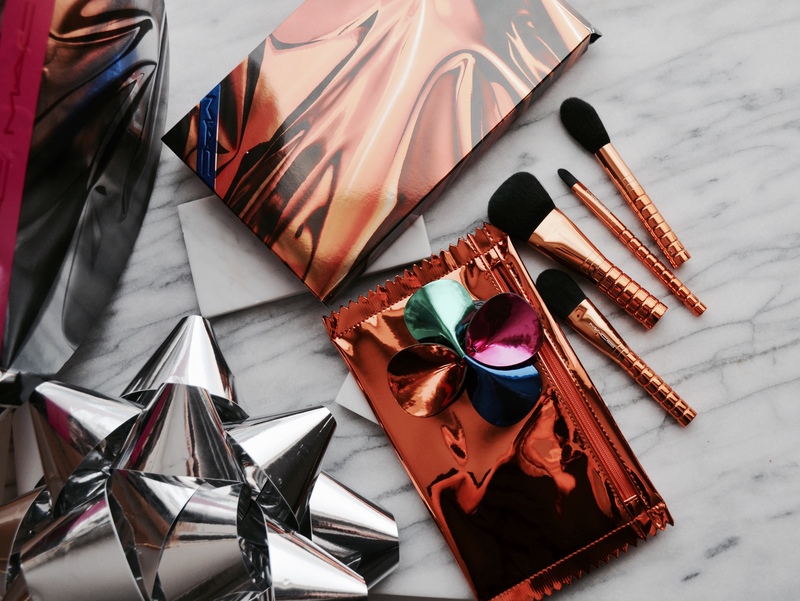 The makeup lover in your life will love a set or two.